Hidden grammar difficulties can be common reason why older students with dyslexia hit a plateau with reading, writing, and even testing. The problem is so subtle at times that many difficulties may be missed for years if not for their entire academic careers. One of the reasons that the problem is difficult to detect is that even many standardized tests that are commonly used for assessing the possibility of dyslexia either don’t test for it or they don’t pinpoint the problems that cause the student to struggle. In the early grades, students who have “overcome dyslexia” by the mastery of decoding, may find they hit a plateau as sentences become longer and more complex. 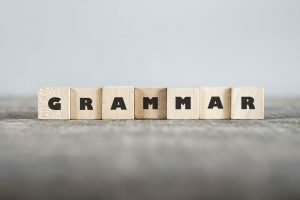 In the middle and high school years, unrecognized grammar problems may present as “misreading” or failure to fully comprehend test questions and great difficulty with higher texts. Dyslexic students may find certain authors and textbooks easier to read than others, but not be aware that it’s the grammar that’s really contributing to subpar reading and writing problems. Gifted dyslexic students may especially be frustrated by the fact that their writing is only limited to simple sentences that they can organize and put down on paper. Even if a parent or teacher is willing to write what student wants to say, they may seem tongue-tied, but they may really just not how how to start. Complex ideas need complex grammar. Bright students are rarely satisfied with simple declarative sentences. They want to elaborate, qualify, and give nuance to what they say. 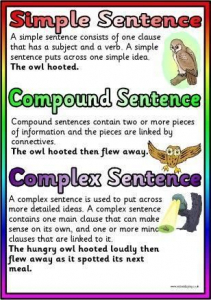 The way to do that is both knowing how to use complex sentence constructions, dependent clauses, adjectives and adverbs, and knowing how to combine words in sentences so that they can be easily understood. What many parents and even some professionals do not know is that many ‘writing’ tests conducted as part of school or private testing may not actually assess grammar or even the physical writing process. Students’ homework may show minimal writing and the student is baffled about how to improve. “Until the student with Dyslexia is able to form a sentence with accuracy and automaticity, s/he will not be able to display the creativity in written expression that is so often innately an attribute in those with Dyslexia. There is also an assumption that students will intuit grammar without direct instruction and the students are the ones who suffer with this assumption that they will eventually “get it.” They should be explicitly taught grammar in order to successfully reach the end goal of reading comprehension. Rather than overloading students with long lists of grammar rules that individuals with rote memory challenges will have difficulty learning, Tim suggests that developing a regular practice of breaking down complex reading passages based on grammatical principles will not only help student understand more advanced texts, but also eventually help them to write them. It is a long sentence (44 words), and it has lots of embedding (witness the author’s use of 2 commas and an em-dash). I surmise many students would struggle to make sense of this sentence primarily because of the complex grammar. How would you deal with this? First, I would have the students read this page from Giovanni’s Rosa and one of the questions I would ask would be, “What did the women of Montgomery do?” Perhaps I’d find that the students weren’t as perplexed as I assumed in which case I’d move on. But let’s imagine that they couldn’t answer my question… then I’d show them how to break this sentence down. As with the commas, the word “that” (which shows up twice here) signals the inclusion of a separate or additional idea, and as a reader that is another point of attack that I can use in trying to interpret this sentences. And the word “or” is another good place to separate these additional ideas. Obviously, we could keep breaking this one down, but again, many kids would get it at this point: The women were bringing in their fancy dresses… Which women? The young and the old. Which fancy dresses? The ones that needed adjustments. What other kinds of outfits did they bring in? Sunday suits and blouses. Which suits and blouses? The ones that needed just a touch—something that would make them look festive. 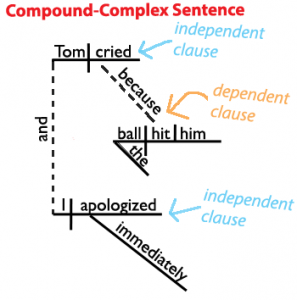 The point of this kind of exchange would not be to teach grammar per se, but to help students to untangle complex grammar so that they could independently make sense of what they read. We’ll dive into helpful visual and multisensory grammar strategies in our next Premium issue, but for our regular newsletter readers, color coding, picture associations, and sentence diagramming can be a bit help for students.